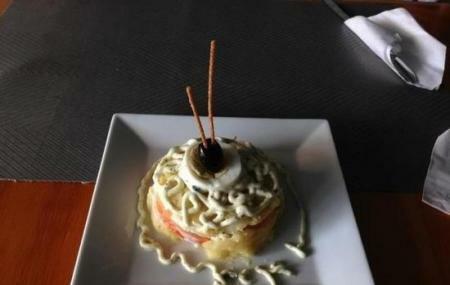 Miski Mikuna is a restaurant in Cabo Rojo, specializing in the choicest Peruvian cuisine, like their famous Ceviche, and the Churrasco. Apart from the Peruvian dishes, Miski Mikuna is also known for its excellent local microbrews, and their exquisite home grown ingredients and spices. Run by Chef La Rosa, who has singlehandedly raised the restaurant into one of the most recommended places in town, takes great pride in the freshness of his dishes, which one can actually taste while feasting on his gastronomic delights. They even use freshly caught local fish and the finest handpicked red meats. You can select from a myriad number of options, ranging from simple dishes from Peru to intricate preparations with an explosion of flavours. Try the bacon wrapped prawns with chocolate balsamic glaze and mustard highlight, if you’re not convinced. Don’t forget to order dessert, where you can choose from a range of mouth-watering dishes, like the frozen passion fruit cheesecake, which melts in your mouth. Miski Mikuna also serves some of the best local drafts, including Boqueron Beer. Miski Mikuna is a true gem amongst the restaurants of Cabo Rojo, and that is saying something considering how famous the place is for its food. You must visit this place if you’re searching for a lovely atmosphere to enjoy a good meal in. This is more of a fine dine, with patrons enjoying the intricate tastes and fantastic presentation of the meal rather than the size of the portions. Don’t try this out expecting a feast. How popular is Miski Mikuna? People normally club together El Faro Los Morrillos and Boqueron while planning their visit to Miski Mikuna. People also prefer to end their day with Miski Mikuna.